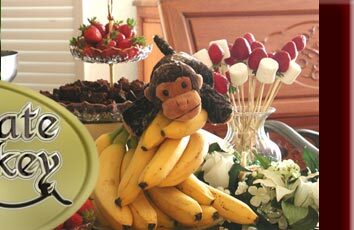 The Chocolate Monkey will gladly provide a variety of delicious dipping items for your event. 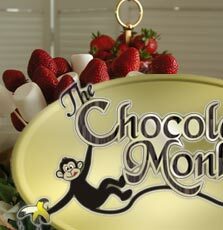 If The Chocolate Monkey provides the dipping items, there will be a charge of $2.25 per guest. This will include up to five dipping items of your choice. Additional dipping items can be purchased at $0.50 per guest. And remember...You don't have to lift a finger!!! 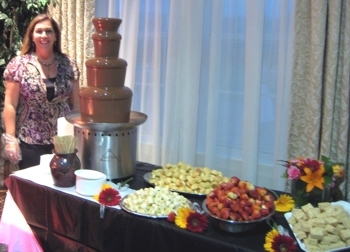 We will setup up the fountain, skewer your dipping items, show your guests how to use the fountain, and ensure that you and your guests have a delightfully delicious and fabulously fun chocolate experience!!! 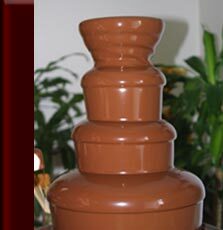 We will also assist you in displaying your dipping items to create an elegant eye-catching presentation.